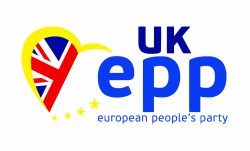 We are the British presence of Europe's largest political family, the mainstream centre-ground centre-right EPP European People's Party. We want what you want: a strong economy with opportunity for the young, alongside protection and dignity for the vulnerable. In the 2014 European election, Londoners placed us ahead of all but locally incumbent parties. ﻿The Conservatives left the EPP in 2009 but the EPP is the party of Ireland's Leo Varadkar, Germany's Angela Merkel and many more leaders who should be Britain's closest friends and allies in reforming Europe. The EPP is the largest group in the European Parliament: three times larger than the Conservatives' or Liberal group.